Budget 2015 has made the newly launched ?Sukanya Samriddhi Yojana? fully tax-free. This means Sukanya Samriddhi Yojana is now tagged as EEE (Exempt, Exempt, Exempt) Investment Avenue under section 80C just like Public Provident Fund. The contribution/payment made towards Sukanya Samriddhi Account will be an eligible deception u/s 80C up to the threshold limit of Rs.1.50 lakhs (no changes in Budget 2015-16). The interest earned on the deposited amount will again be tax-free. Thus no need to add the interest income earned in the income of the guardian. Both the maturity amount receivable at the end of the 21 years and 50% withdrawable amount at the completion of 18 years of girl child for her marriage or higher education will be tax-free. Prior to Budget 2015, Sukanay Samriddhi was ETE (Exempt, Taxable, Exempt) scheme, which means the contribution was deductible u/s 80C and the maturity amount was tax-free but the interest earned on yearly basis was taxable in the hands of the guardian, which is now been also made tax-free. So now SSA is fully comparable to PPF and scores above the PPF in terms of earnings i.e. interest rate is higher in SSA from PPF. Sukanya Samriddhi Account is for the people who cannot accumulate enough money for their girl child?s education and marriage. Thus by investing small amount of Rs.1000 per month, the magic of compounding gives them a considerable sum to fund their girl child?s higher education and marriage. Though the accumulated amount will not be huge but people who are risk averse and cannot afford to invest in equity market are good to go with Sukanya Samriddhi Yojana. I want to deposit the premium of 24000 on annual basis, but in future if I am unable to deposit the same amount can I deposit less or Rs.12000 premium amount per year. If ssy accounts depositor is my wife can i take Tex benefit from this. Sir,I want to know the age limit of a girl child to open this account.Because my daughters dob is 28.5.2001. Do we have risk benefits like, if anything happens to legal guardian during the tenure what would be the situation of this scheme. will it be lapsed/continued/do we have premium waiver benefit? Unlimited but the amount of deposits should not cross the maximum limit of Rs.1.50 lakhs. my daughter’s dob is 14-jan-2014 . if i deposit 1.5 lakhs every year ( one time deposit ,every year first week of april), when would be the maturity date and what would be the maturity amount. My daughter is one year old. If i deposit 1.5 lakhs every year what would be the maturity amount. You cannot tell a fixed amount because the interest rate may change every year. If you plan to invest 1.5 Lac a year, its better to go for LIC since it has premium waiver benefit i.e., On account of death of proposer who is the sole earner of the family, LIC waives the future premium and all the benefits will be given to the child on appropriate age. Whereas in Suganya Samriddhi Scheme it is not available i.e., Whatever risk happens you have to pay a minimum of Rs.1000 every year to keep it in force and no amount is waived. For more details you can go through the website of both. 1. Yes, you can open SSA for her. 2. The maturity amount in your case comes to around Rs.6.07 lakhs at the current interest rate of 9.1% p.a. 3. Deposits are to be made for 14 years from the date of opening of account. The maturity amount in your case comes to around Rs.6.07 lakhs at the current interest rate of 9.1% p.a. 1. Yes, the deposits are to be made for 14 years from the date of opening of account. So if your girl child’s age is 9 years, then the deposits are to be made till her age of 23 years. 2. Maturity is after 21 years from the date of opening of account. 1. Yes you can open account for her. 3. Deposits are to be made for 14 years from the date of opening of account and maturity will be after 21 years from the date of opening of account. Sir My daughter D.O.B 014.11.2004 if i pay 1000 rs in SSA scheme per month how much we will get after 21 age. My daughter D.O.B 030.7.2006 if i pay 1000 rs in SSA scheme per month how much we will get after 21 age. You will get around Rs.1.27 lakhs each i.e. 50% of the account balance for both of your daughters. ager me 25/3/2015 ko 20000per year jama karte hi to 21 sal k bad ketna pesa melega. The maturity amount in your case comes to around Rs.10.50 lakhs at the current interest rate of 9.1% p.a. ?? 600/-????? ssy ?? 10-4-2015?? deposit ???? ????? ??? ?? last deposit date ???? ???? ?? machourity date ???? ???? 1. Last deposit date would fall in year 2036 i.e. before 31/03/2036. 2. Maturity will be in the year 2036 i.e. after 1/4/2036. 3. Maturity amount hoga Rs.3.65 lakhs. SIR, MY DAUGHTER IS 3 YEARS OLD, IF I WILL DEPOSIT 1000 PER YEAR, THEN HOW MUCH I WILL GET WHEN SHE WILL TURN TO 21 YEAR? She will get Rs.232000 i.e. 50% of the account balance when she turns 21. You will get around Rs.1,80,000 for her higher studies. How to fill the sukanya dev yojna form … I m totally confuse…. Plz help…. Account holder will be eligible to withdraw amount at the maturity. The maturity amount in your case comes to around Rs.30.35 lakhs at the current interest rate of 9.1% p.a. I am an Indian citizen. But both my daughters are US citizen. Can I open this account for them. If so, on maturity will there be any problem in getting back the money. If the account is opened, than there will be no problem at the time of maturity. If God forbid baby girl has some accident ,then who take that fund back? IN CASE DUATHER IS DETH SO HER MONOY RETURNEBLE ???? 1. Do we have any coverage for the girl child? 1. No. there is no risk cover in SSY. (1)My daughters age is 8 years, how many years i can invest . (2) May I invest Upto to 14 years of her age OR 14 years from the date of opening the Account. (3) If i invest 1000 per month how much amount the girl child will get ? 1. Deposits are to be for 14 years from the date of opening of account, not till the girl turns 14. 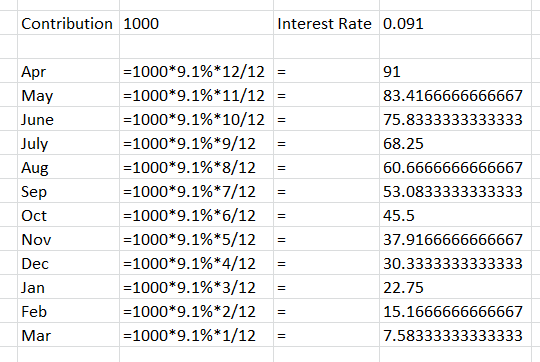 Is the rate of interest floating? If so how would this scheme be better than fixed or recurring deposit? Pls help understand this policy better. Yes, Interest rate is floating but SSA is totally tax-free and also the interest rate tends to increase like in PPF. With Rs.1200 per month deposit, the maturity amount at the current interest rate of 9.1% p.a. would come around Rs.7.25 lakhs. My daughter is 2 yrs old, born in USA. Now we have shifted back to India for good. Can I open an account in her name? Yes, you can provided you can furnish the required documents. Sir, will this plan’s interest will reduce in future and is it very difficult to close the account in post office? How about the money value? Means after 21 years if I get 12 lakhs for 2000/month is it worth or can I go on RD for 10 years? Pls suggest. Is there any plan in LIC for children education or marriage? But SSA is better than both RD and Children’s Money Back Plan of LIC because of Tax benefits on maturity amount.